When people don’t know any better, they’ll try the easy answer first. The solution to bed bug ignorance is education — and there’s no one better to provide it than the pest management professional. Like many other major pests, bed bugs depend on human behavior to provide greener pastures and then take them there. For those with the resources, a reasonable response to bed bugs is to report the bugs or call a professional, but for those with few resources and little money, human behavior takes a different path. Expenses delayed are expenses avoided. 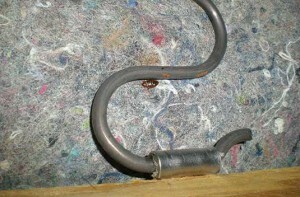 Before incurring the expense of reporting bed bugs, try taking care of them on your own. Just throw away the bed and be done with it. The do-it-yourself (DIY) stuff you bought online didn’t work and the bugs are getting worse. The bed must be the problem, so out to the Dumpster it goes. Always trade up. Look at this great bed someone threw away! Upon discovering bed bugs in a bed, the easiest choice for some is to begin sleeping on the couch. When bed bugs show up on the couch, they move to a spot on the floor. Eventually, when reality sets in that the bed bugs are everywhere, some people drag the infested furniture to the curb. By the time the professional has been called in, the furniture has been “harvested” by others who are in need, and now there are even more infested units. Even when the first response is proactive, it may mean going to the Internet to find an inexpensive way out to avoid reporting the bed bugs. Unfortunately, the Internet is a minefield of many “bed bug solutions” that are either too difficult for a layman to use effectively, or don’t work at all. Many of these options, while less expensive than hiring a professional, are still not cheap. The ultimate result of ineffective DIY remedies is a growing infestation. While this kind of behavior cuts across all walks of life, it’s essential that property managers find a way to educate people about the proper way to respond when bed bugs are discovered, as the actions of a few in a multi-housing complex can adversely affect many. A pest management professional can be invaluable for offering educational services and training both housing staff and their residents. By illustrating the real cost for delaying professional help, residents are more likely to report when bed bugs are suspected. And when residents understand the importance of not bringing in furniture from the curb, they’ll be less likely to spread bed bug infestations. Similarly, if residents can’t properly prepare for treatments, they’ll delay reporting bed bugs. Management and staff should be ready to help residents discard furniture that legitimately should be discarded, and help residents prepare for treatment. Otherwise, when the strategy is to treat bed bugs when they are reported, without any instruction or support, residents are left to their own human nature. And that suits the bed bugs just fine.